He will likely concentrate on full-time streaming. 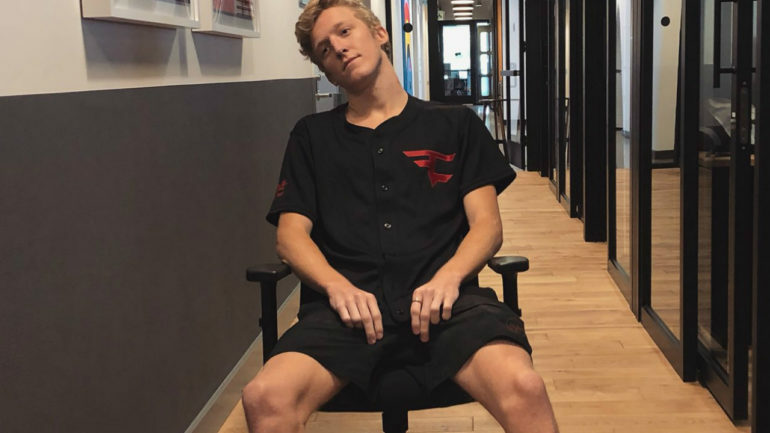 FaZe Clan’s Turner “Tfue” Tenney has revealed that the Fortnite World Cup will be his final competitive tournament. Tfue is one of the most successful players in competitive Fortnite, having won $515,000 over the span of two years and 26 different tournaments. He started out as much of a non-entity in the gaming community but came to fame after the release of the popular battle royale title. His skill, combined with his charismatic personality, brought him a large and faithful fan base, which quickly bolstered his streaming career. It now appears, though, that despite his success, the struggle of having to compete at a consistently-high level combined with full-time streaming has taken a toll on the player. “I’d rather stream and do bad, than not stream,” Tfue said. Tfue’s lack of enthusiasm could be a direct result of his on-going health problems. He’s been suffering from issues with his neck, as well as experiencing fatigue. It’s unclear exactly why Tfue plans to retire, however. The next leg of the Fortnite World Cup will kick off on April 20.